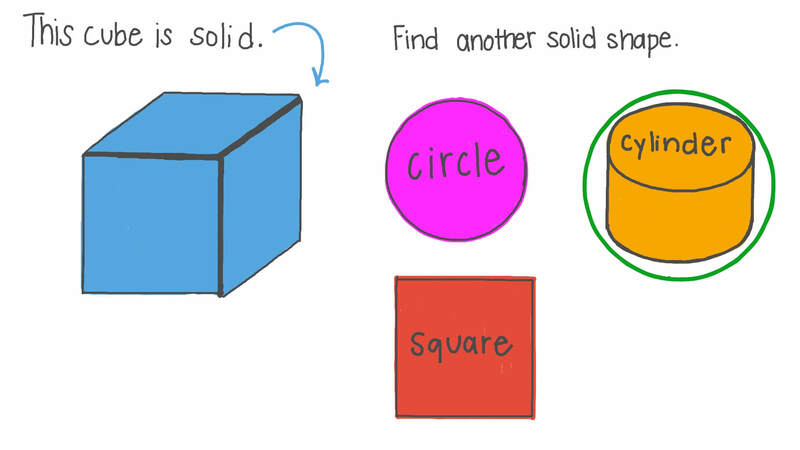 In this lesson, we will learn how to describe shapes as flat and solid and identify 2D and 3D shapes. Which box does this cylinder go in? 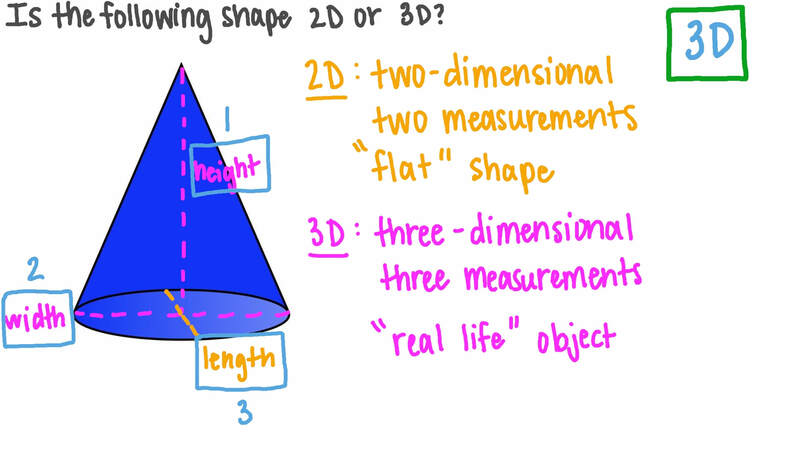 Is the following shape 2D or 3D? Which of these shapes is 2D? 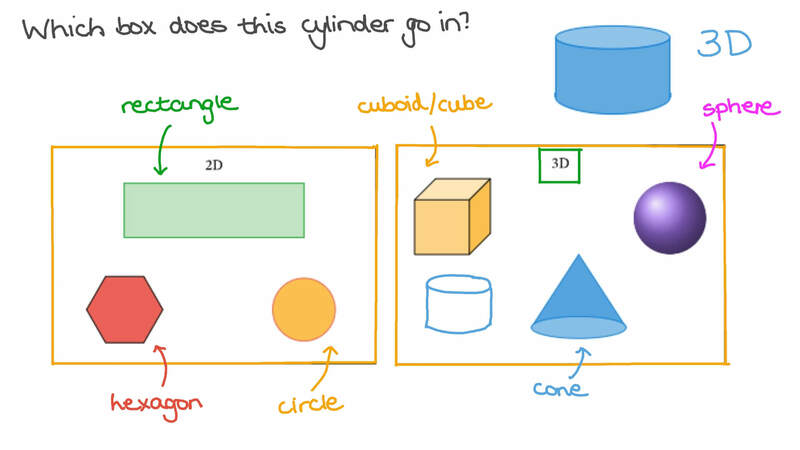 Which of these shapes is 3D?